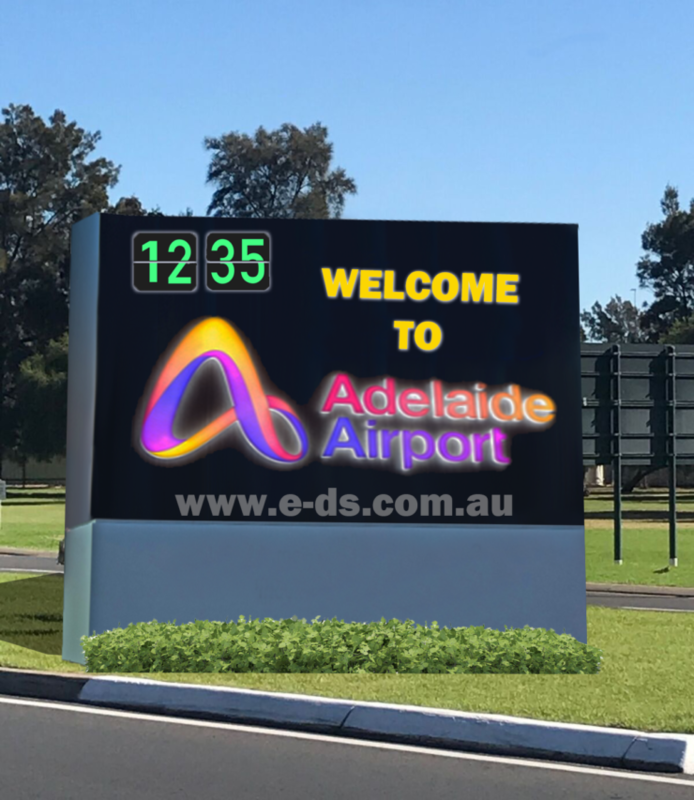 Our e-ds displays are mostly known for utilising Parking and Guidance Information Systems (PGI), which provide drivers with active information on parking, but the screens can do many other things too. They can show anything from advertisements, news and updates, videos, flight information, weather updates and much more. The display can be split in several sections, allowing different types of information to be broadcasted at the same time. They use Windows operating system, so just like on a normal PC, you have full control. This means you can use our e-displays for anything, nor just for parking services. They could example be installed in shopping malls to display commercials and other information. Each lane in the mall could have its own e-ds with adds for the shops in that area. The owner or manager of the mall would be in control of the e-ds and would be able to charge the shops for having their adds displayed. The shops could advertise a sale, showcase particular products or invite customers to partake in competitions. This would benefit both mall and shops, as it would increase revenue, allow the shops to brand themselves, and improve user experience. Using the split screen functionality, other information could be shown at the same time, such as site map and emergency information. It’s also important for the design to be flexible, so it will fit into any environment seamlessly. That’s why we also offer customisations of the display itself. This indigenous artwork e-ds shows how you can customise the screens for just about any purpose. Whether you want it to match your brand colour or maybe have a pattern or text on the unit, we can make it happen. Please contact us if you want to hear more about the possibilities or get a quote.